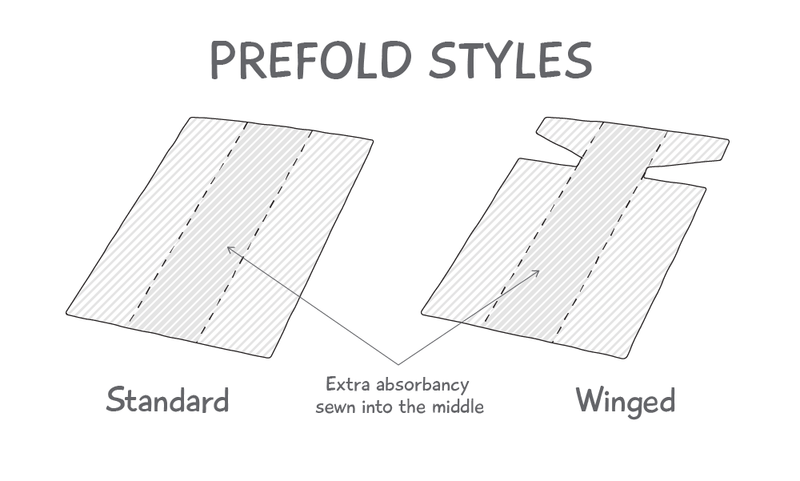 Prefolds are an economical and versatile way to cloth diaper your baby. They are easy to wash and quick to dry. 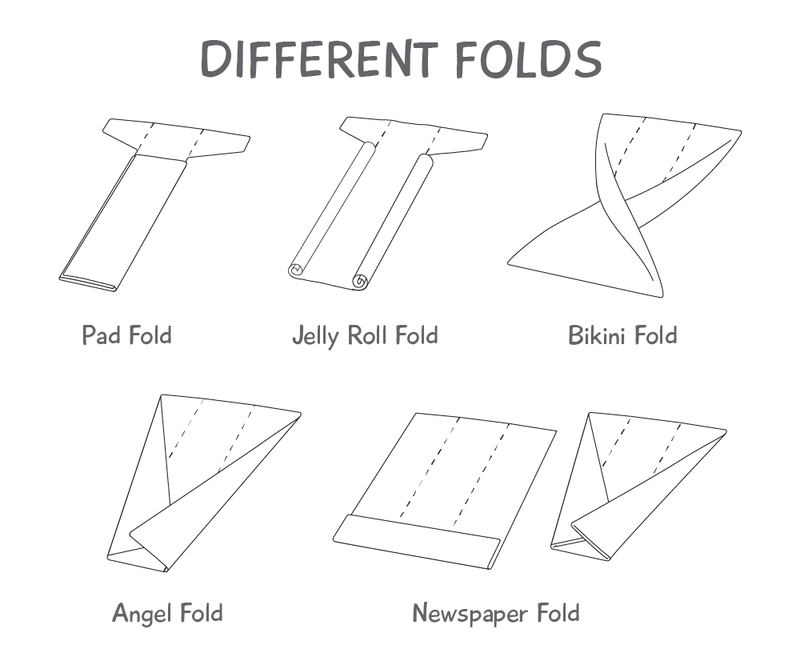 There are various different folds that you can use and experiment with until you find the one that suits your baby the best. Mini Matters has two prefold styles: Winged Prefolds and Standard Prefolds. The Winged Prefolds have wings for easy fastening and can get tucked in when pad folded. Step 1: Lay the Prefold out flat with the Mini Matters logo facedown at the top. Step 2: Fold over the first third accross the middle. Step 3: Fold over the second third on top of the first. Step 4: Wrap around baby’s bottom and fasten with a Snappi® or nappy pin. Finish up by adding a Mini Matters Waterproof Cover. You can also add a Mini Matters Hemp Booster for extra absorption. The Pad Fold is simple and easy to use. 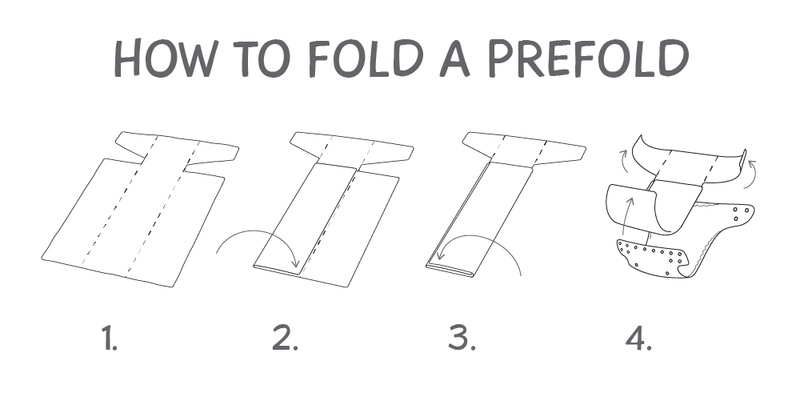 Simply fold your prefold in two and lay it into your cover. No need for fastening. You can also use the pad fold in pockets. Once your baby has outgrown newborn or Size 1 prefolds in other folds, the small pad folded prefold can be used to boost fitteds, pockets and AIO’s. The Jelly Roll Fold is good for EBF (Exclusively breast fed) poo and runny tummies as it holds it all in nicely. This way you can reuse your covers more often as well before washing. This is a very common and quick fold. Fold the front half into thirds and bring the flat back around baby to fasten with a snappi. The Newspaper Fold is a great fold to size a prefold down if you need a smaller prefold or to create extra absorbency in the front for boys. This is a nice fold for girls as it increases the absorbency in the middle of the prefold. Simply twist the prefold 180 degrees in the middle.